Those of you who have heard about Doug Liman’s “American Made”, may rightfully ask what to expect from this true, yet completely insane story of an American pilot turned into a major drug smuggler for the Medellin Cartel ran by Pablo Escobar. I wasn’t sure what to expect of it myself. As the film started, I knew it was not going to be a conventional action film made in Hollywood but a movie of someone who becomes shamelessly wealthy – an American made individual – a pick-up and drop-off guy named Barry Seal. The film follows Barry Seal (Tom Cruise), a TWA pilot recruited by CIA agent (Domhnall Gleeson) to drop off and pick up some stuff for the government from such countries as Guatemala, Nicaragua, Honduras and so on. Barry quickly learns how to use his position in this world and behind CIA’s back starts smuggling drugs from Colombia to Miami bypassing law enforcement points in the air. As he succeeds, the money starts flowing toward him. At some point, it is so much that he no longer has a place to keep it – inside or even outside of his house in Mena. Tom Cruise delivers a down-to-earth portrayal of Barry Seal, which I’d say, is one of the best roles I’ve seen of him in a while. The film begins with an amateur video with Barry’s appearance, which guides us through his life starting from 1978 up until the moment when he knows his end will come sooner than he realizes if he does not take the matters into his own hands. Still, his mind is so preoccupied with self-confidence and the enormous power, that precautious become less important than they should be. In conclusion, “American Made” is a well-narrated film about how a man can earn so much money and own the world, but lose all of it in a blink of an eye. Surprisingly, Gary Spinelli’s screenplay has turned Barry Seal into an entertaining character – likable, wise, and a charming risk-taker. Tom Cruise, as an actor, brings his own charisma and breaths a new life into the character of the man who has once managed to make the entire Intelligence system go after him. Overall, it’s an excellent thriller with a minimum amount of unnecessary action scenes, lots of airplanes, that provide an insight to how the drugs or guns were being smuggled to South and Central America. 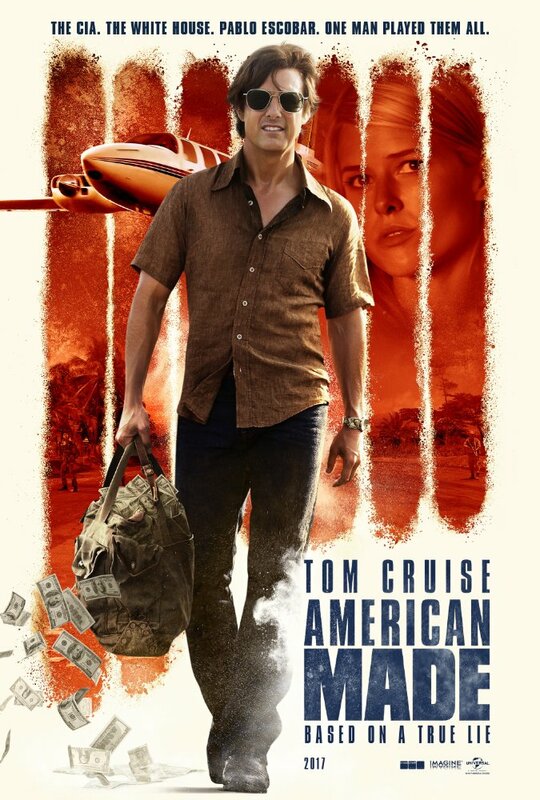 Finally, and I shall repeat myself again, Tom Cruise once again delivers what is required to turn the “American Made” into a worthwhile movie to watch.